Sacroiliac cryotherapy is a therapeutic option that uses cold treatment to reduce pain and decrease inflammation. There are many forms of cryotherapy available and several of these are commonly used for treating a diversity of sacroiliac diagnoses. Cryotherapy can be professionally delivered or can be part of a home treatment plan that is self-managed by the patient. Cryotherapy is one of the world’s oldest forms of healing in certain geographic regions where natural ice or icy water exist in abundance. Early man recognized the analgesic and anti-inflammatory properties of cold long ago and has since developed various medical technologies to take advantage of these natural healing characteristics. 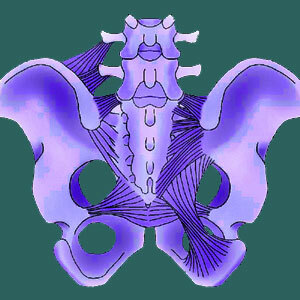 This article delves into the use of cryotherapy for treating sacroiliac disorders. We will examine the use of professional and home remedy applications for ice and cold therapy. Ice, ice packs or freezing wet towels are often used by chiropractors, physical therapists and massage practitioners to soothe the region of pain prior to treatment. In some cases, cryotherapy can be applied post treatment to reduce inflammation. Ice packs, cold baths or cold showers can also be used by patients at home to reduce inflammation or relieve pain. Cold pools and immersions can be used to provide pain relief and trigger a reflex response that will actually increase circulation upon the body warming up. Minimally invasive cryotherapy practices often utilize catheter insertion of a frozen wire or needle into painful joint regions to reduce inflammation and reduce pain by freezing nerves. More invasive techniques can be utilized to provide longer lasting and even experimental relief by exposing nerves to extremely cold temperature that will disable them long-term or even kill them. Ice is well known and proven to reduce swelling and various inflammatory processes that are not enacted by disease. Ice is also proven to numb regions of the body after exposure, providing temporary pain relieving qualities regionally. Ice is basically completely safe to use, as long as basic common-sense guidelines are met. Patients can use ice multiple times daily with no ill effects or major costs involved. Ice is also a low cost solution for care providers who can offer therapeutic sessions without having to pass along large costs to the patient. Ice is readily available almost anywhere and anytime, allowing patients to receive pain relief when and where they need it most. Ice can increase the therapeutic value of related interventions, such as massage, prolotherapy and exercise. Obviously, ice imparts no negative systemic effects, such as those created by pharmaceutical pain relief and anti-inflammatory methods. 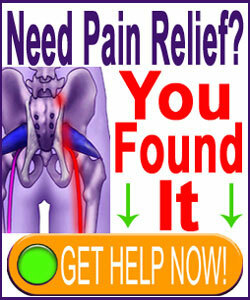 Ice is not likely to cure any type of sacroiliac joint pain. Cryotherapy is merely a form of symptomatic treatment. However, it is effective and generally safe. Ice should never be directly applied to skin for any extended duration. Instead, wrap ice or ice packs in a clean dry towel first, before applying. Ice baths and immersions might cause shock and have been linked to very rare cases of death or injury due to heart attack or stroke. There really are not major risks or side effects of ice that can not be overcome with a bit of common sense. We highly recommend using ice as part of a combined therapy routine that might allow you to avoid more risky and damaging forms of pain management, such as drugs, injections and surgery.